Home / event / gpu / nvidia / peripherals / tech / Nvidia GTX 1660/1660Ti now available in the Philippines. | Gizmo Manila. Nvidia GTX 1660/1660Ti now available in the Philippines. | Gizmo Manila. Nvidia Philippines officially announced the availability of their newest graphic card, the GeForce GTX 1660 and GTX 1660Ti. The launch of the new GTX GPU was introduced alongside with the iCafe Jumpstart seminar event of Nvidia Philippines for the iCafe owners and planning to put up iCafe business. The Nvidia 1660Ti is 3x faster compare to the GTX960 and 1.5x faster compare to the GTX1060. This graphic card is perfect for the iCafe's who wanted to have a decent setup to Triple A Games in FullHD resolution. During the event, all of the GPU brands are present to show their support with Nvidia Philippines and also to present their products, what are they're advantage compare to others. 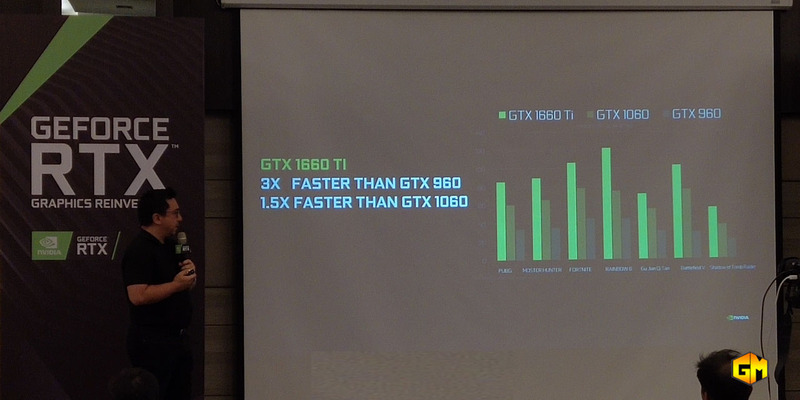 Nvidia also talked about have to be a certified GeForce iCafe. Up to date, Nvidia already have 50+ iCafe's in the Philipines and over 600 certified iCafe's in worldwide. For Nvidia Certified iCafe's, the company gives support and add traffic to their partners by providing different tournaments, adding their logo on the Nvidia website and more.